This beautiful home enjoys timeless architecture & elegance w/brick construction & hardwoods throughout first floor of home. 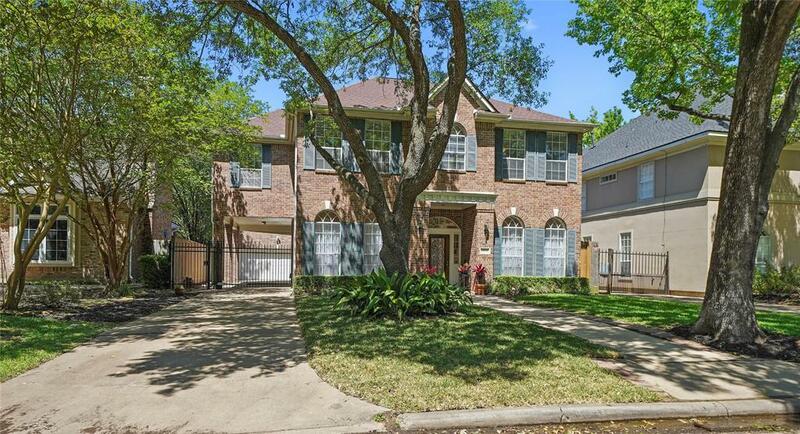 Detached 2-car garage w/ 528SF Guest Quarters (incl. in house SF) above w/private entrance. A clean & classic Kitchen has island w/5-burner gas cooktop & double ovens. Family Rm w/built ins, gas log fireplace & wet bar are ideal for entertaining. 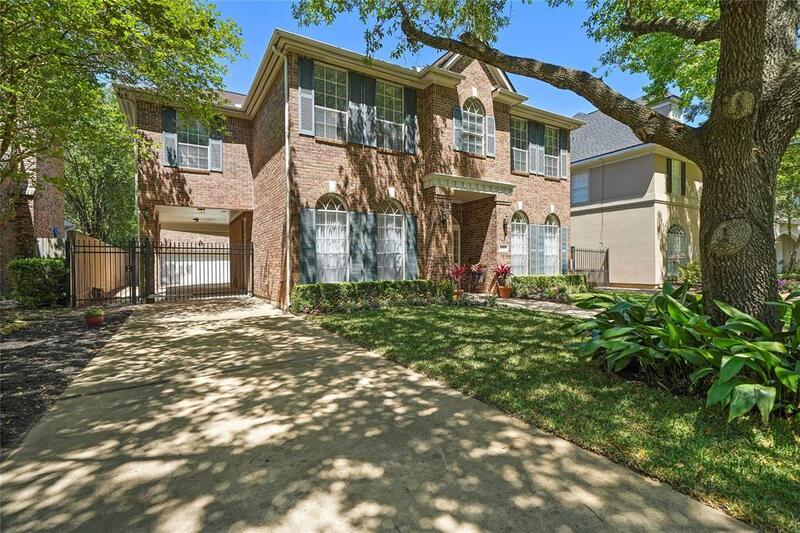 Rear of home has wall-to-wall windows that illuminate Kitchen/Family Room & allow for panoramic views of spacious & tranquil backyard w/a welcoming covered patio & full sprinkler system. Tankless w/h. Motorized driveway gate provides access to porte-cochere. Come see this exceptional home-dont miss out on this opportunity! Not affected by Harvey or any previous flood. Original Owners-All Info Per Seller. 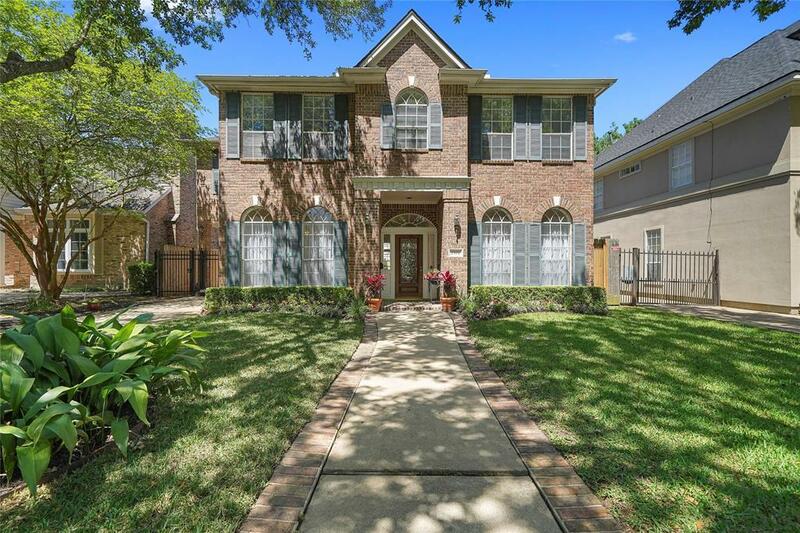 Centrally located in highly sought after Bellaire, blocks away from new Condit Elem. & new Bellaire HS, new City Hall, Bellaire Police & Fire stations, Library, Bellaire Little League, Bellaire Rec Center, Pool & Parks.